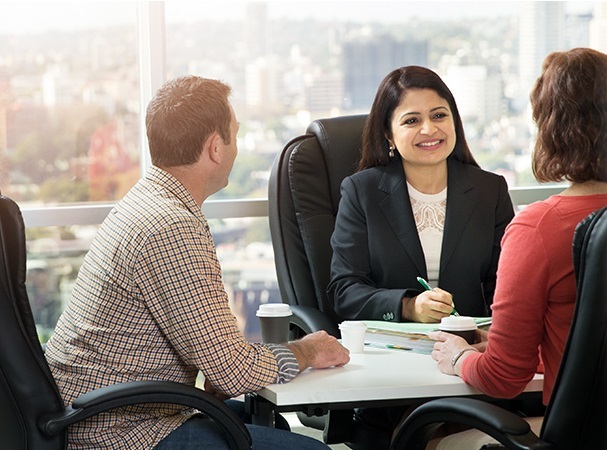 At Carroll & O’Dea Lawyers we want to engage with our clients, stakeholders & communities in ways that make an impact. 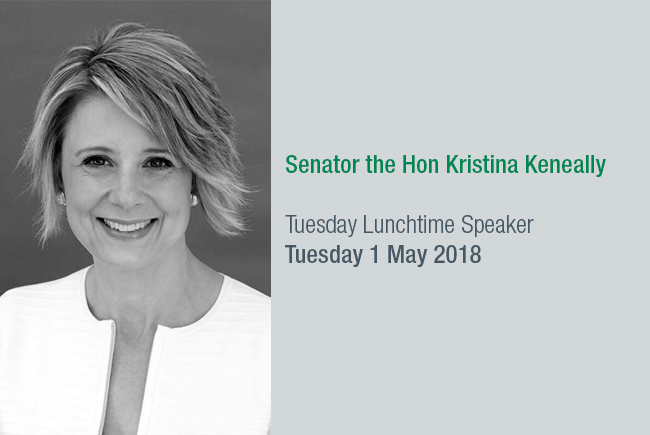 From our Tuesday Lunchtime Speaker Series to our specialised Legal Seminars, we aim to provide the best in thought leadership for our clients, our staff and our community. Join us at our next event to hear from exceptional leaders in their fields, such as politics, law, social justice, the environment, philanthropy, religion & journalism. 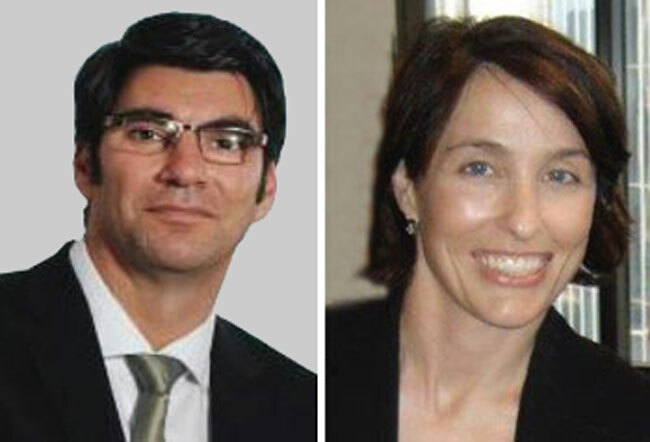 Innovation and technology: a regulatory and legal service delivery perspective. 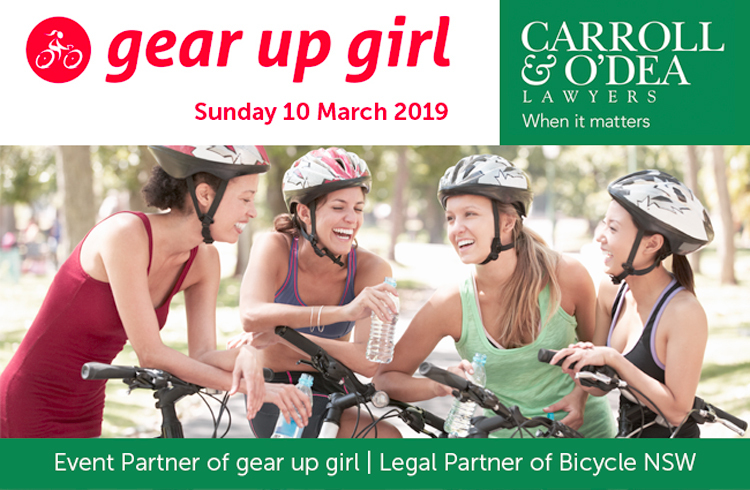 Carroll & O’Dea Lawyers are supporting Gear Up Girl 2019 on 10 March 2019. 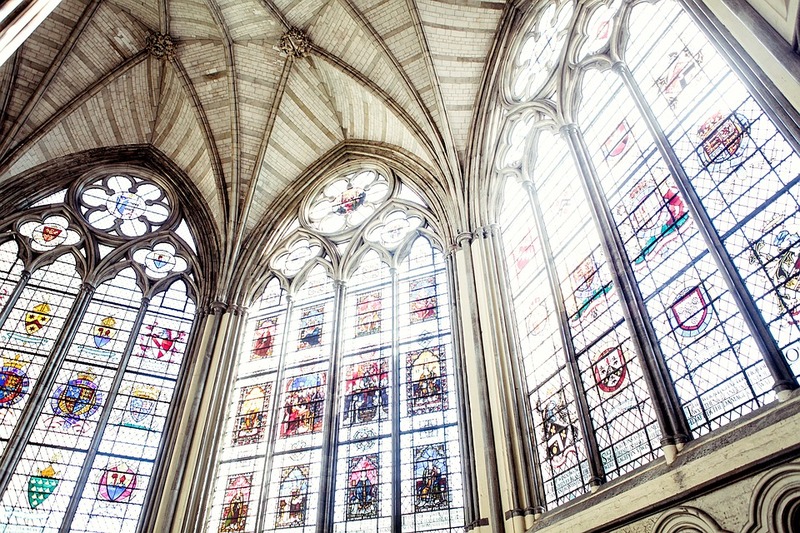 How did Jesus relate to women and involve them in his life? And how did they respond to him? 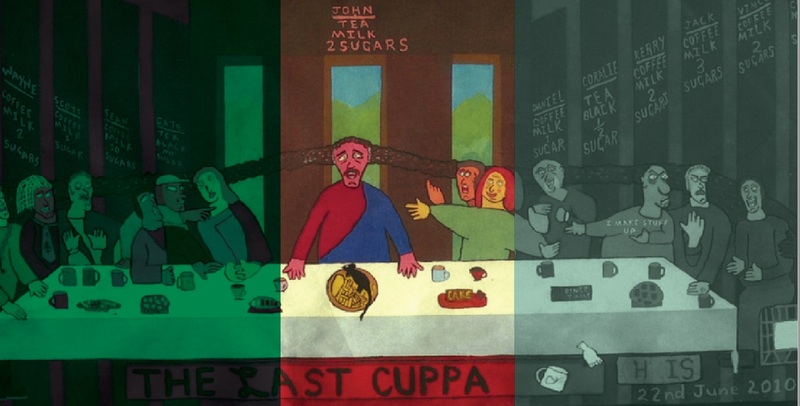 The Honourable Chris Geraghty consults the Gospels to show how Jesus adopted a radically inclusive, counter-cultural approach to women, challenging the beliefs and prejudices of his community where women were inferior and, as far as possible, invisible. 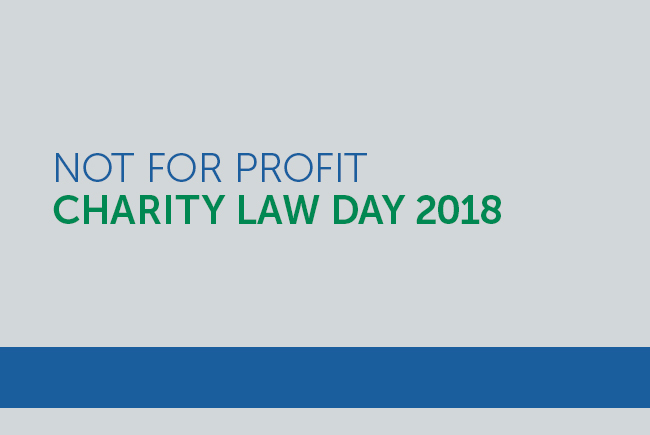 The Not for Profit Charity Law Day will be held on Friday, 14 September 2018. 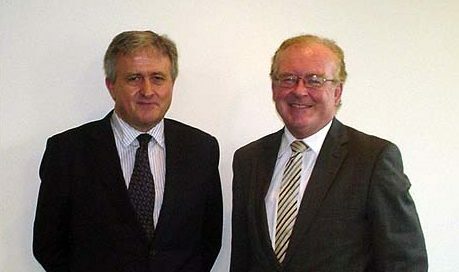 Our speakers include: Robert Fitzgerald AM, Royal Commissioner, Julian Brophy, Perception Partners and various Partners from the firm. 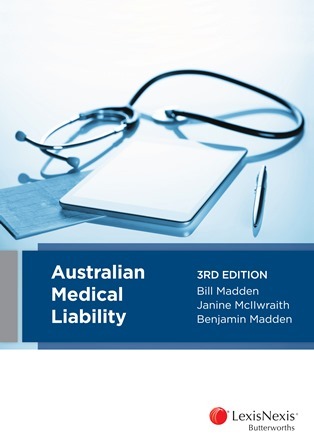 For more information please contact Marketing on (02) 9291 7100. Following the talk there will be a book signing and copies of his latest book “Run For Your Life” will be available for purchase. All author proceeds from the book are donated to help the children displaced by the Syrian civil war by funding humanitarian aid through the registered charity Australia for UNHCR. 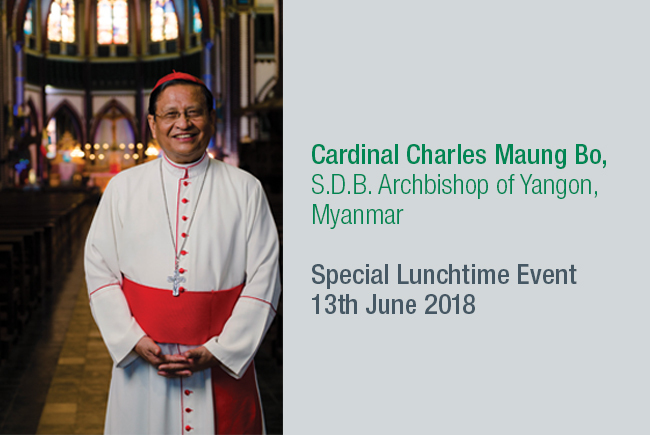 Cardinal Bo will speak to us on his promotion of multi-faith dialogue, together with his commitment to the welfare of the struggling and oppressed minorities. He will cover the current cultural and political situation facing Myanmar. Where an administrative investigation can result in significant detriment to the interests of individuals, the procedural fairness implications can be complex. On the one hand, there is a need to ensure that matters are effectively investigated, and that risks to complainants and whistleblowers are appropriately managed. On the other hand, there can sometimes be catastrophic consequences of being the subject of a less than competently undertaken investigation, or a vexatious complaint or disclosure. 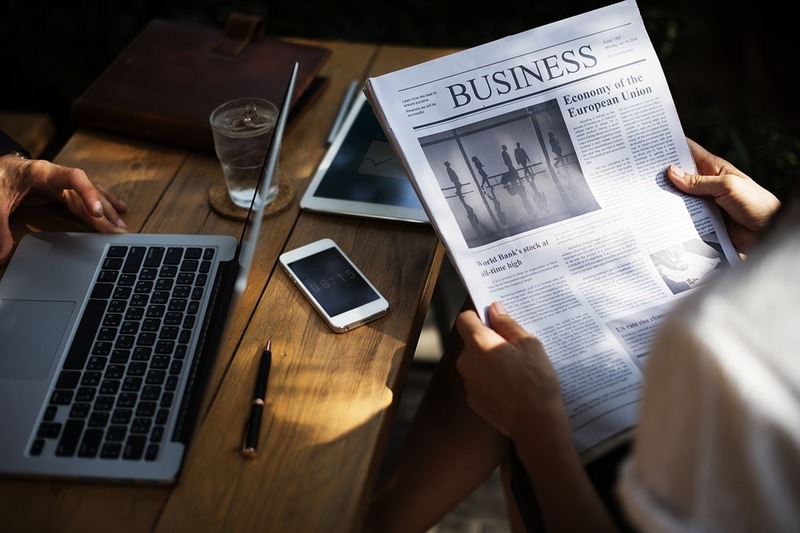 At times there will also be the conflict that can arise when the needs of legal purism conflict with administrative practicality (if not administrative reality). Jeremy Gormly SC has appeared, usually as Counsel Assisting, in many inquiries including the CAA Seaview Aviation Royal Commission, the Thredbo Landslide inquiry, the collapse of the NSW Grains Board, the Tripodi inquiry and the CCC Mallard Murder Conviction Inquiry in W.A., the McGurk Tapes inquiry in the ICAC, Operation Winjana in the PIC concerning use of the proceeds of crime legislation by the NSW Crime Commission, an ICAC investigation into Tonette Kelly’s actions in Maritime NSW and most recently, the Lindt Siege Inquest. 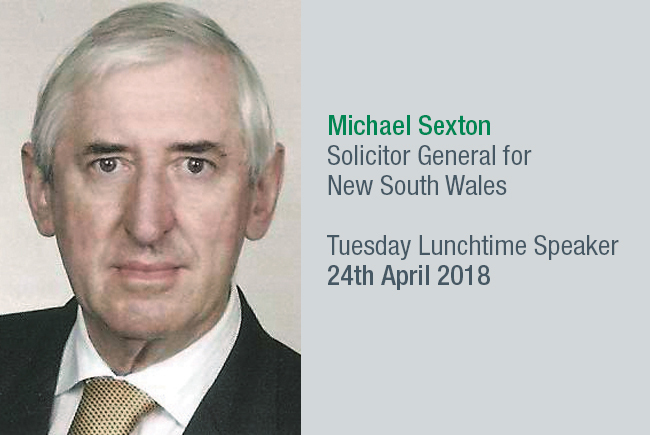 Michael Sexton is the Solicitor General for New South Wales. 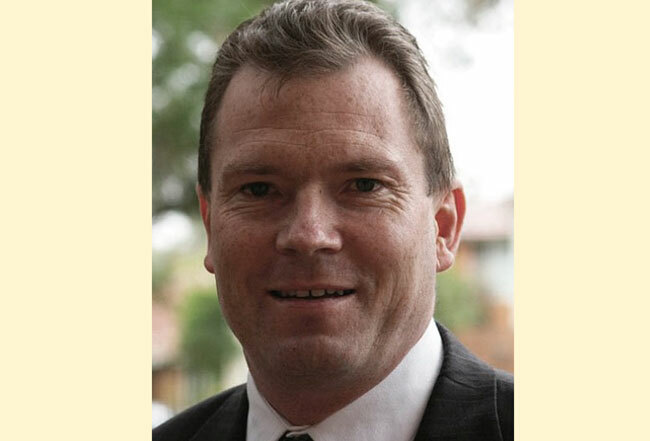 A graduate of the law schools of the universities of Melbourne and Virginia, he spent some years as an academic lawyer before taking up practice at the NSW Bar. He was appointed Solicitor General in 1998. 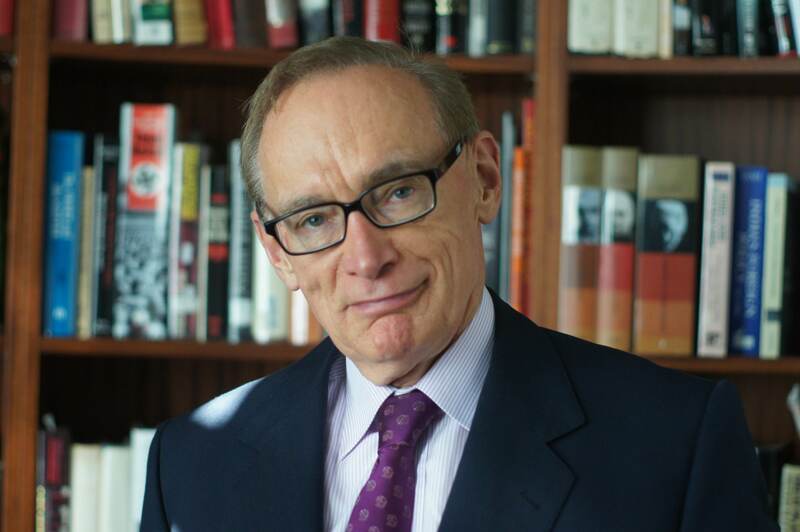 He is co-author of the Australian text on defamation and the author of several books on Australian politics and history. 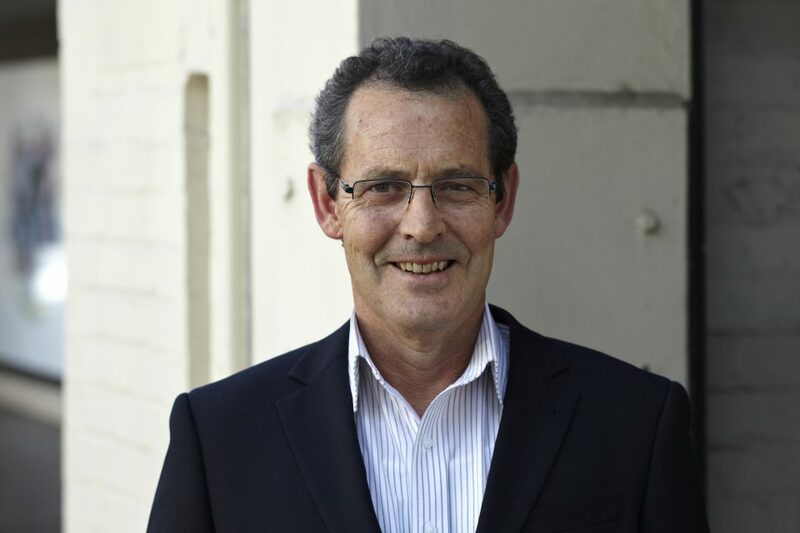 In the area of public administration he has been chairman of the NSW State Rail Authority and a board member of the NSW Public Transport Authority, the NSW Library, the Sydney Writers’ Festival and the University of Technology Council. 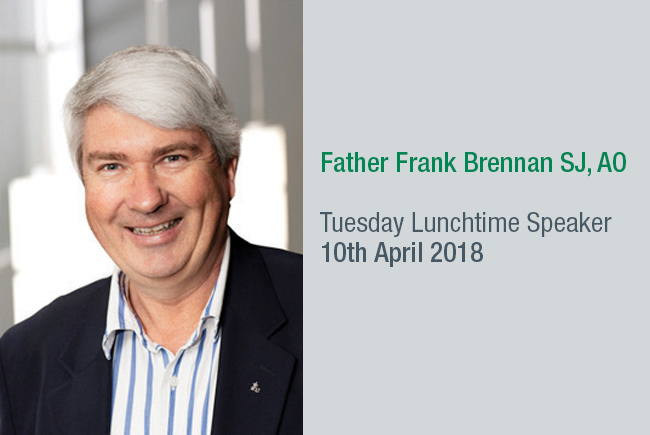 Carroll & O’Dea is delighted to have Father Frank Brennan SJ, AO speak as part of our Tuesday Lunchtime Speaker Series. 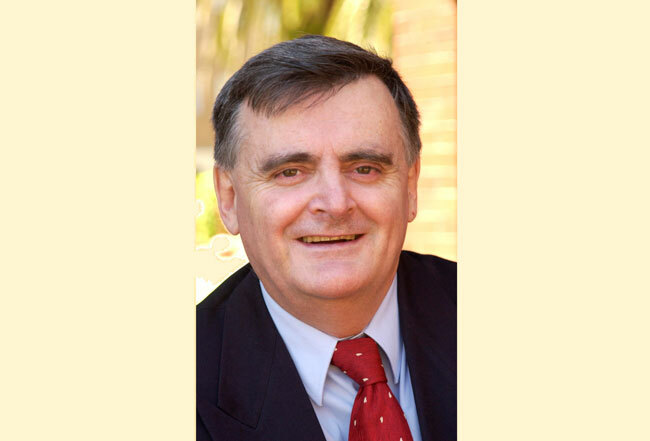 Father Frank Brennan SJ, AO is a Jesuit priest and CEO of Catholic Social Services Australia He is professor at the P M Glynn Institute at the Australian Catholic University and research professor at the Australian Centre for Christianity and Culture. 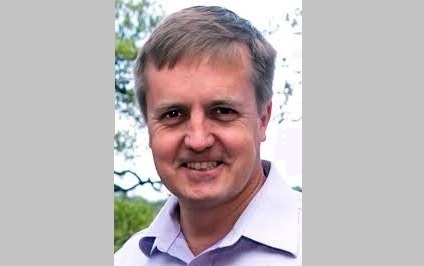 He chaired the National Human Rights Consultation for the Rudd Government and is a member of the Turnbull Government’s expert panel conducting the Religious Freedom Review. 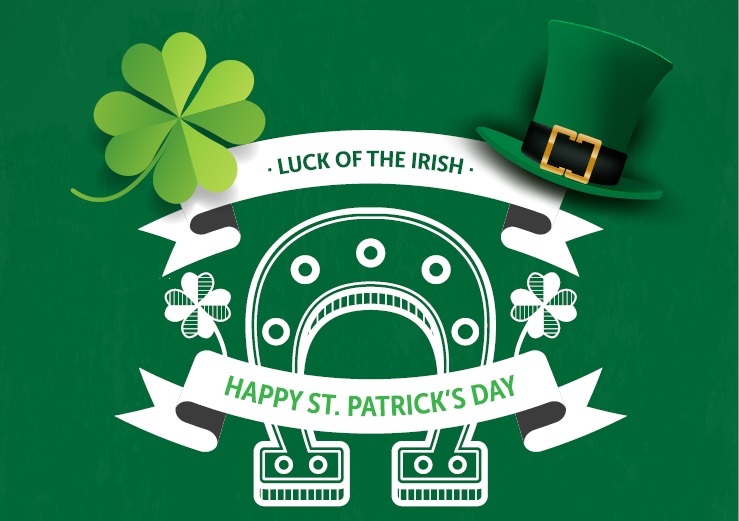 Carroll & O’Dea Lawyers will be taking time out on Friday, 16 March to celebrate St Patrick’s Day. We’d like you to join us for drinks at our offices. Please join us for a pint of Guinness or a slipper of Irish whiskey to celebrate on St Patrick’s Day. 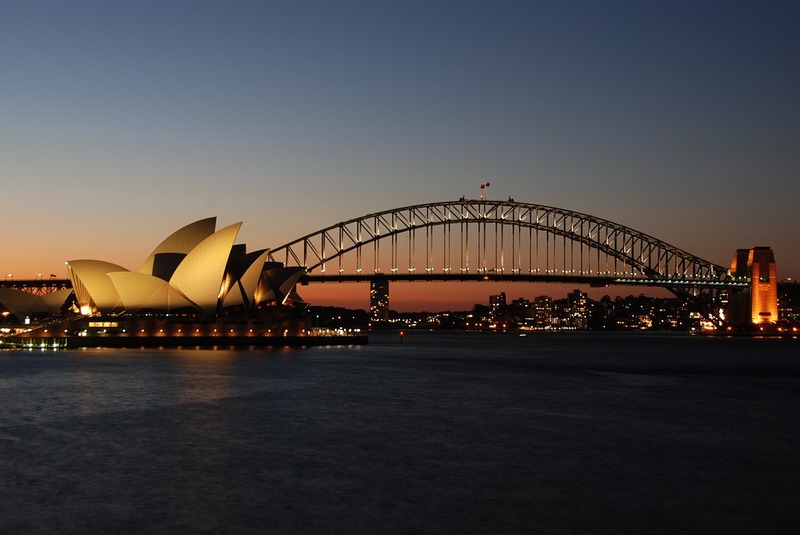 The International Society of Primerus Law Firms and Tricor, in coordination with the Australian Chamber of Commerce & Industry, are pleased to host this legal Seminar. 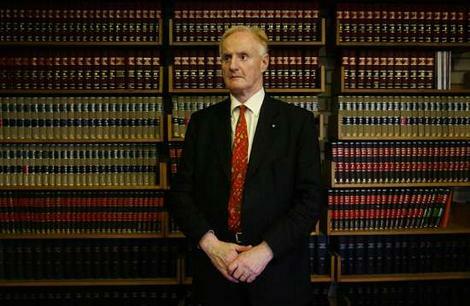 Lloyd Babb SC was appointed the third NSW Director of Public Prosecutions in July 2011. 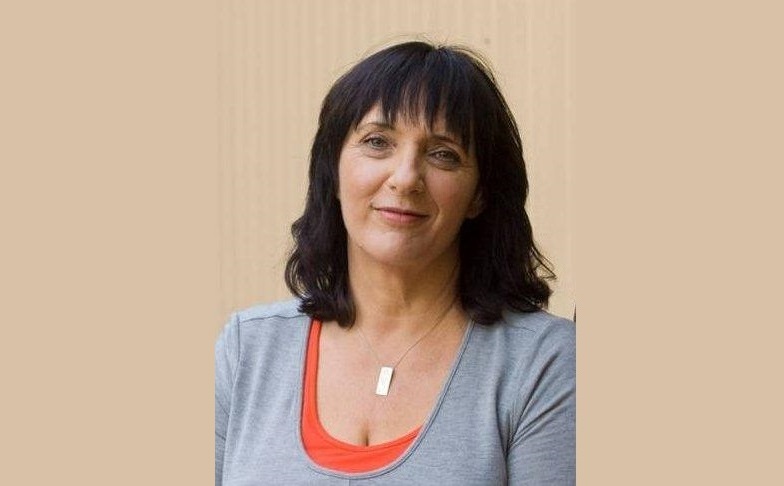 Sally Dowling SC was appointed as a Crown Prosecutor in 2002 and in 2013 she was appointed as Senior Counsel. 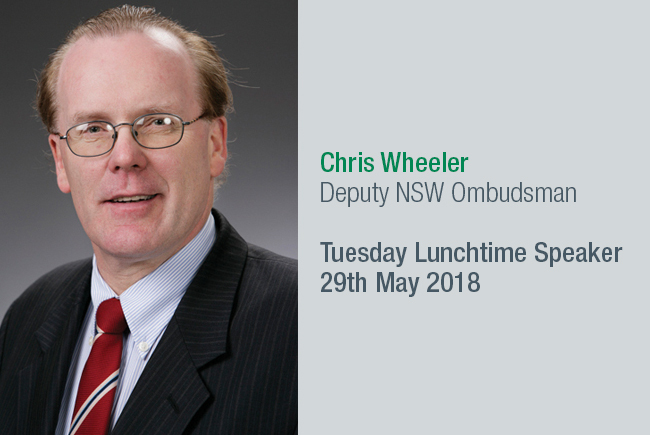 They will speak about current criminal justice issues in NSW. 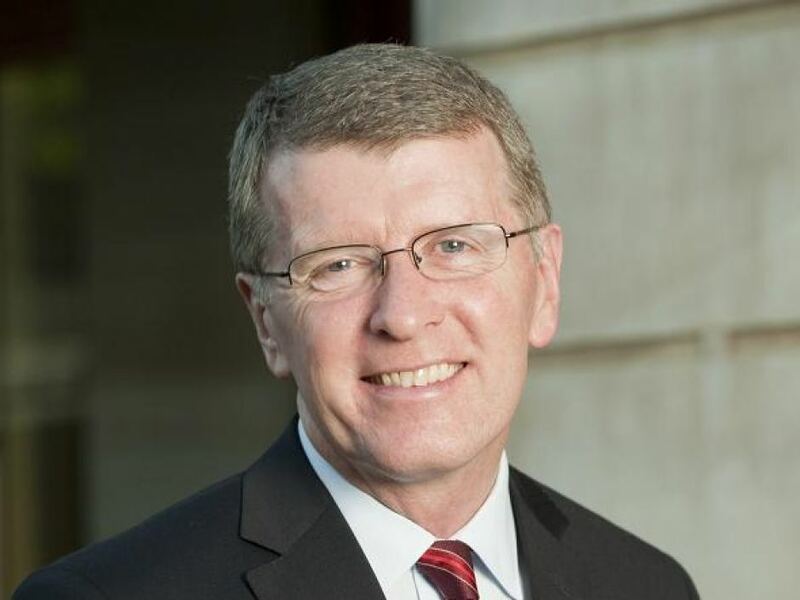 Nathan became the 41st Premier of NSW and is currently the National Assistant Secretary, Finance Sector Union of Australia. Nathan Rees joins Carroll & O’Dea Lawyers for a reflection on a life in politics, the factions and the notorious NSW bear pit. 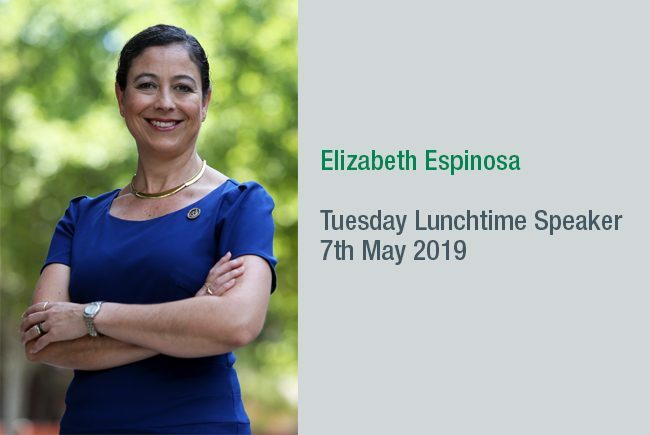 Sarah Dale will speak about the legal realities facing people seeking asylum in Australia including reflections on the experience of those under the Fast Track Processing System. Sarah Dale is the Principal Solicitor at the Refugee Advice & Casework Service. She joined RACS after a number of years working with people seeking asylum and refugees in visa cancellation and civil law issues. Having developed an outreach legal service to unaccompanied children within NSW and throughout Australia, Sarah worked extensively with children who were detained on Christmas Island and faced transfer to Nauru. Sonya Harris is the General Counsel, Property Australia with Lendlease Corporation Limited. 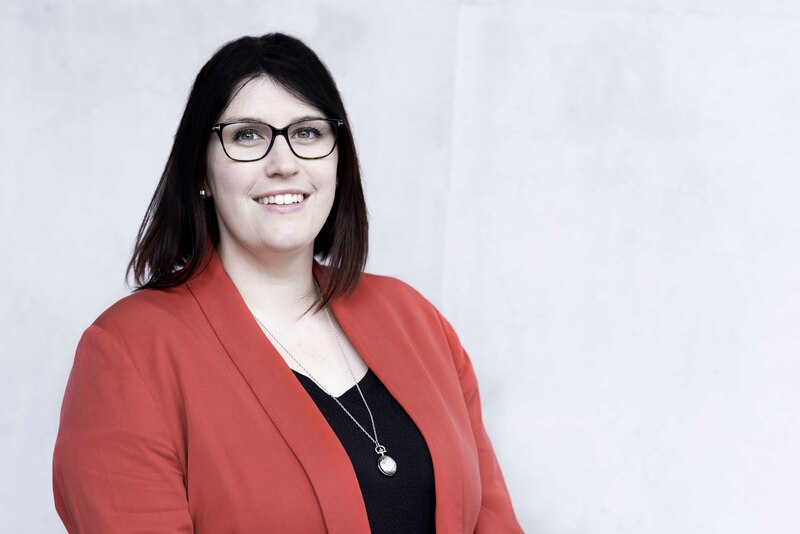 She has responsibility for the legal teams across the urban regeneration, communities, development, retirement living and investment management businesses. 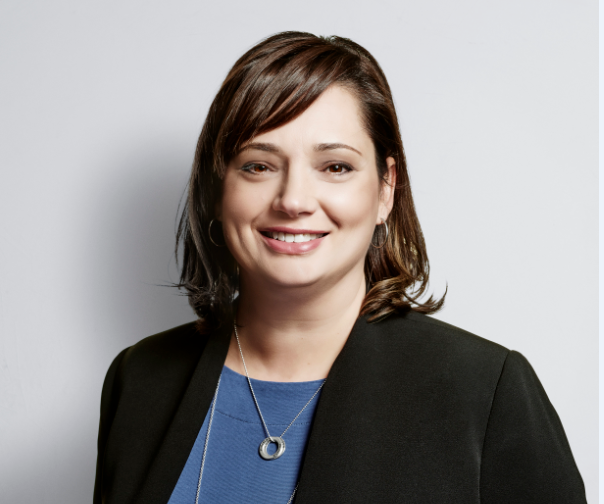 Prior to joining Lendlease, Sonya was a Partner in the Real Estate team at King & Wood Mallesons and also held positions as General Counsel and Company Secretary at Mirvac Limited and Deputy General Counsel at Multiplex Limited (now Brookfield). The Australian Catholic University along with Carroll & O’Dea Lawyers invite you to an inspirational evening. The University offers the Clemente program to some of the most marginalised members of our community. 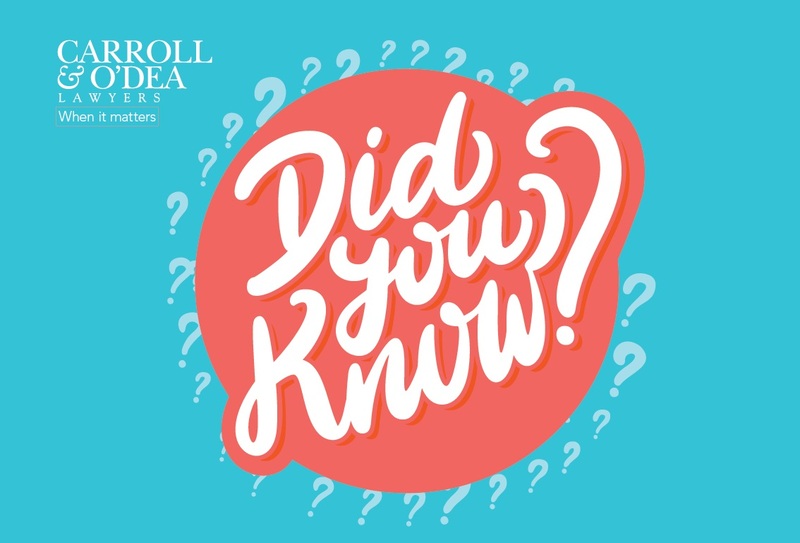 The goals of the program are to assist with self-confidence, promote a positive view of the future, make education accessible to disadvantaged Australians and use education to change lives, through social inclusion. 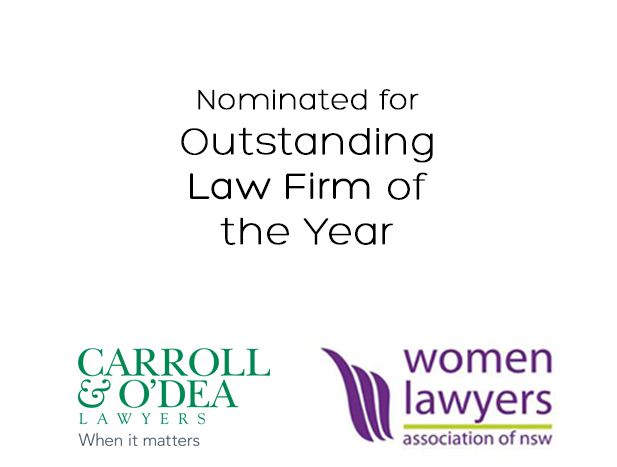 Carroll and O’Dea Lawyers are proud to announce we have been nominated for ‘Outstanding Law Firm of the Year’ by the Women Lawyers Association of NSW. Winners will be announced at the NSW Women Lawyers Achievement Awards on Friday, 11 August 2017. Our submission focused on our belief that lawyers have a duty to work for the benefit of society and to help marginalised people get access to justice. Our strength is that we continue to evolve, uniting our family traditions with the latest in legal knowledge and skills that benefit each and every client. 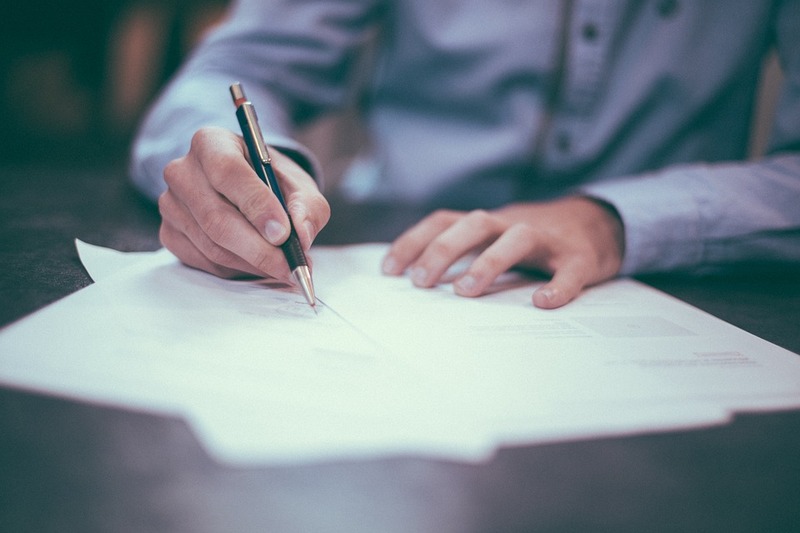 At this seminar you will learn about, the importance of having a Will, the need to review your Will when your life circumstances change and more. 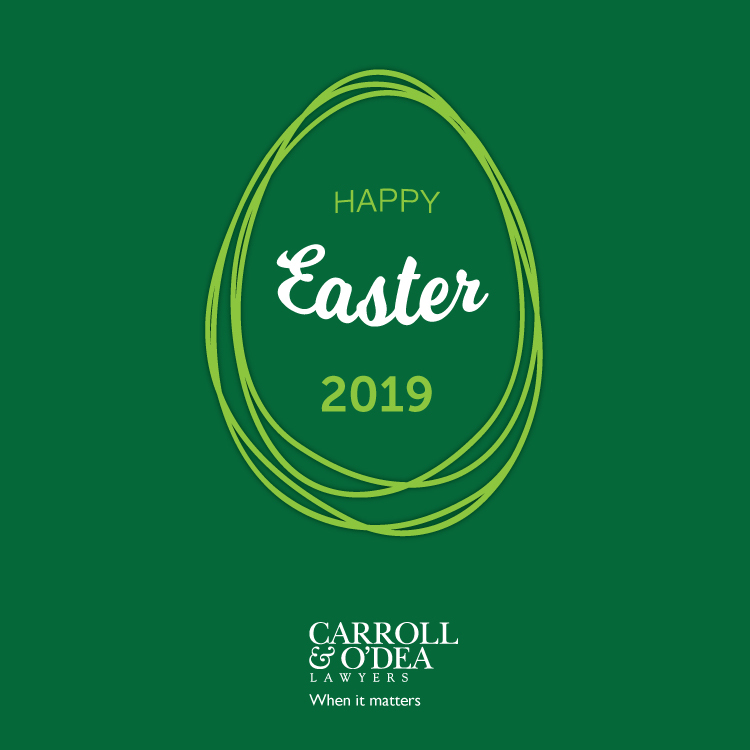 Carroll & O’Dea Lawyers welcome you to come along to find out more about planning ahead and securing your future. We look forward to meeting you. 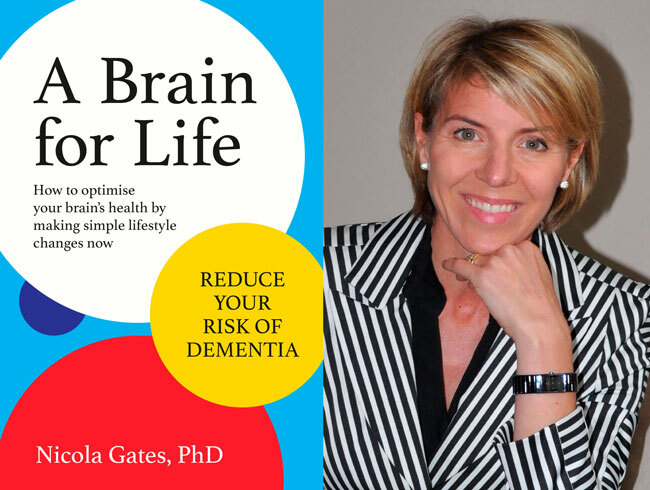 Nicola Gates PhD is a clinical neuropsychologist, neuroscientist, and author. She earned her Doctorate in Neuropsychiatry investigating physical exercise, cognitive training and psychological wellbeing. 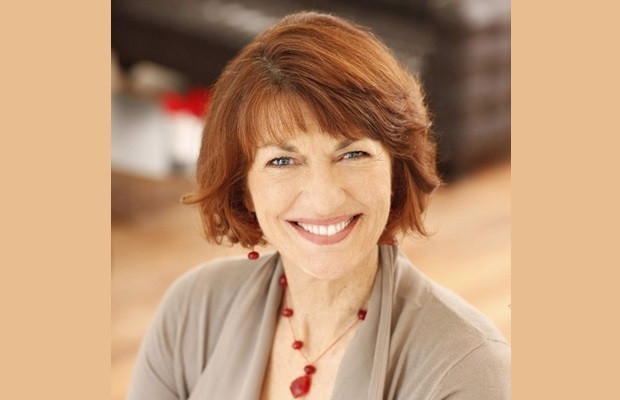 When not researching and promoting optimal health and wellbeing Nicola continues to improve individuals’ lives through her private clinic Brain and Mind Psychology in Sydney CBD. 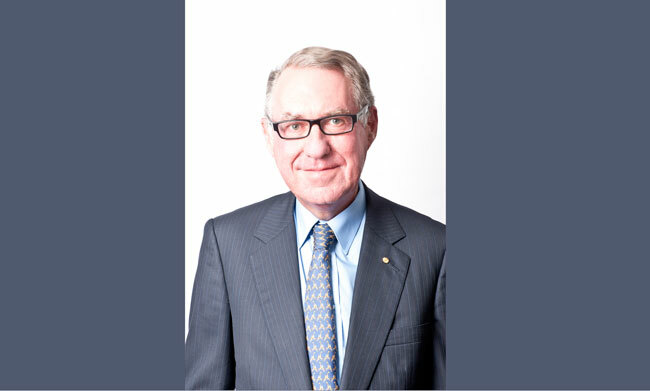 David Gonski AC will be talking to Carroll & O’Dea Lawyers about fighting narrowness and the quest to keep a broad mind and be involved generally. Spring Cycle – Ride the bridge! 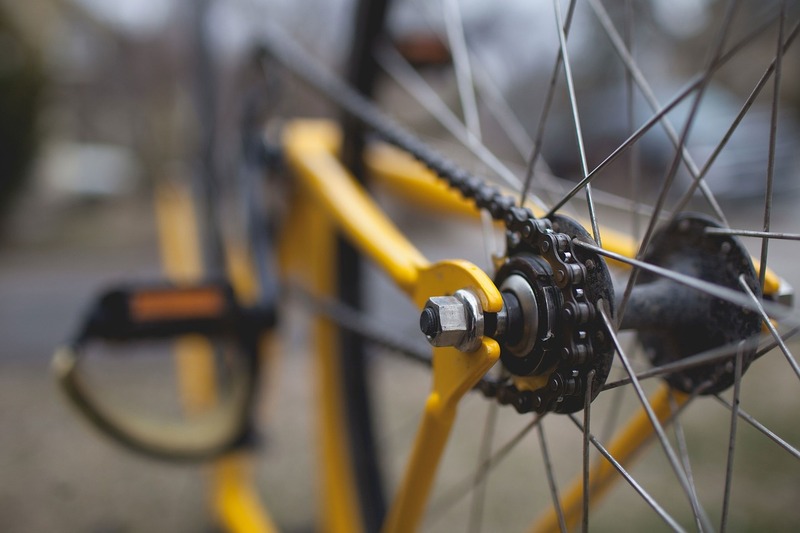 The 2016 Spring Cycle proudly supported by Carroll & O’Dea Lawyers, has ride distance for everyone with the 12km Sydney City Ride, 50km Classic Ride and 105km Bikebug Challenge Ride. All rides provide the unique experience of riding across the Sydney Harbour Bridge main deck. Dr Kezelman will look at inter-personal violence and the impact unresolved trauma can have on those who directly experience it. 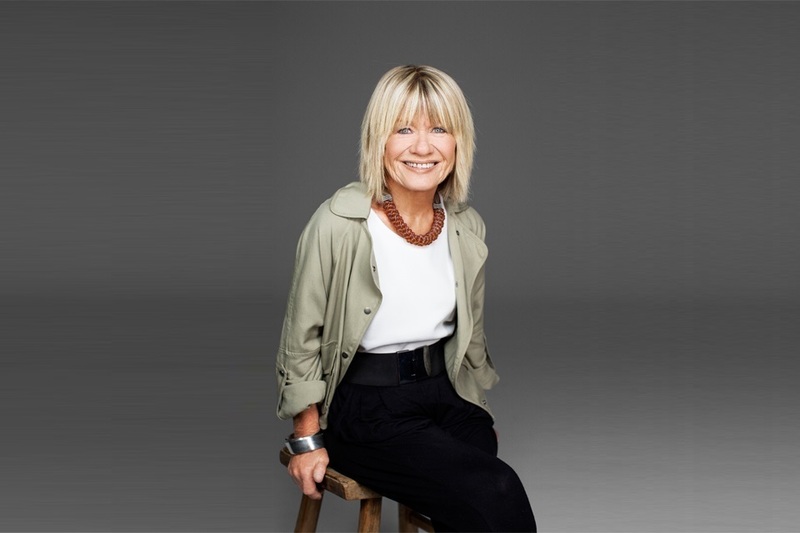 Margaret will be talking to us about the current censorship debate, the world of film festivals, the importance of Australian films for our culture. 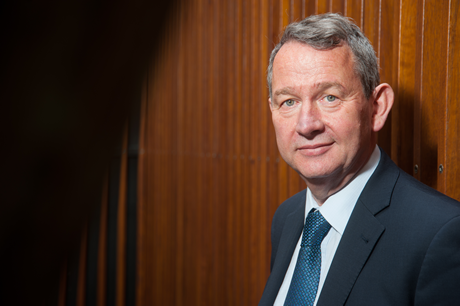 John McKenzie will talk on ethics for solicitors under the Legal Profession Uniform Law (LPUL). 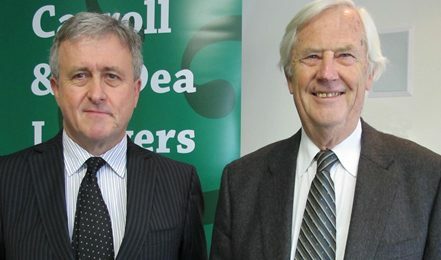 With his diverse background we are honoured and delighted to host John. 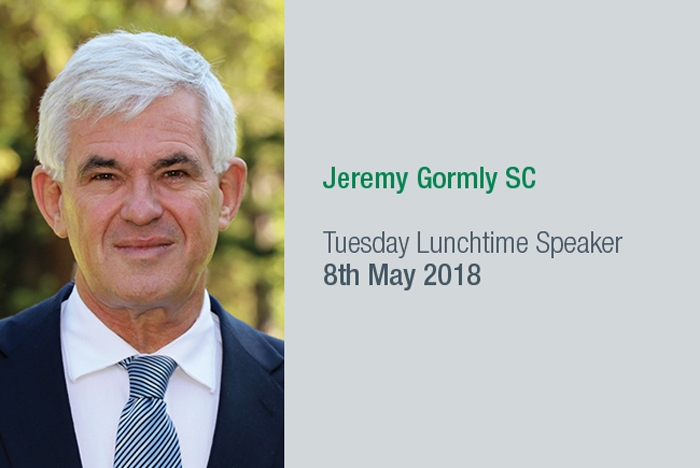 Ian Temby AO QC will reflect on his time in the law and the relationship between the Independent Commission Against Corruption, the Courts and the Parliament. 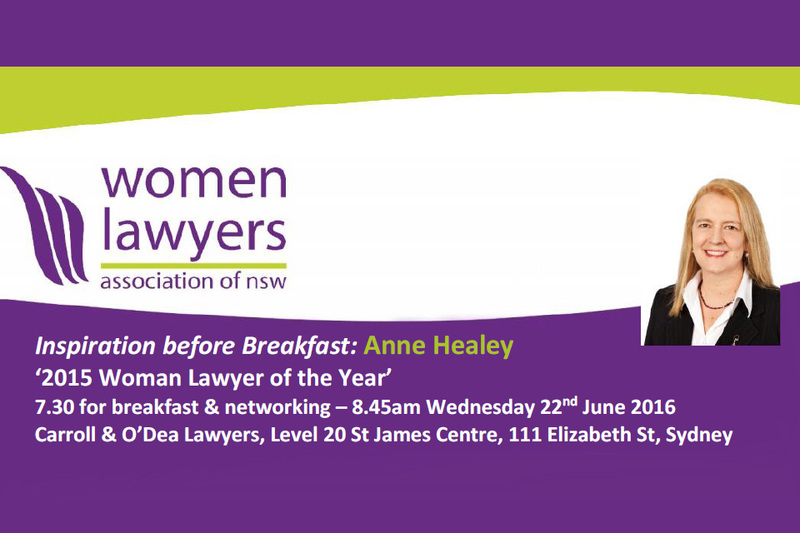 Anne was awarded ‘Women Lawyer of the Year’ in the ‘2015 NSW Women Lawyers Achievement Awards’. Anne will share her career and leadership experiences and insights with us. 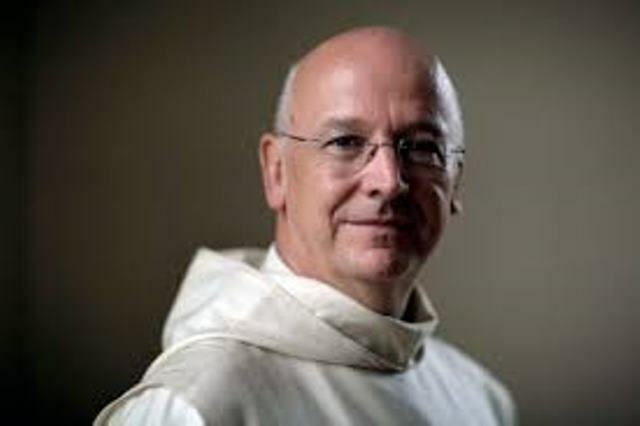 Laurence Freeman OSB is a Benedictine monk, based in London, and the Director of The World Community for Christian Meditation, a global network present in a hundred countries. 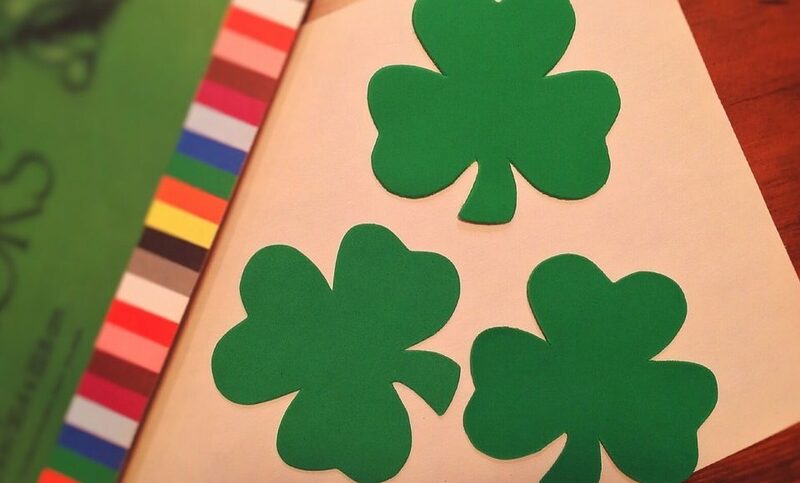 We’ll be taking time out on Thursday 17th March to celebrate St Patrick’s Day. We’d like you to join us for drinks at our offices. 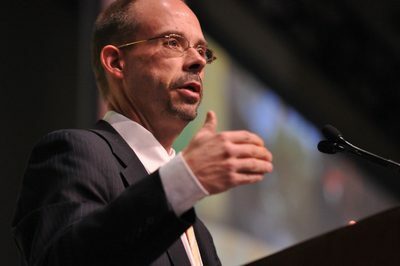 In partnership with Catholic Mission, Carroll & O’Dea invites you to attend our upcoming speaker seminar with John Allen. 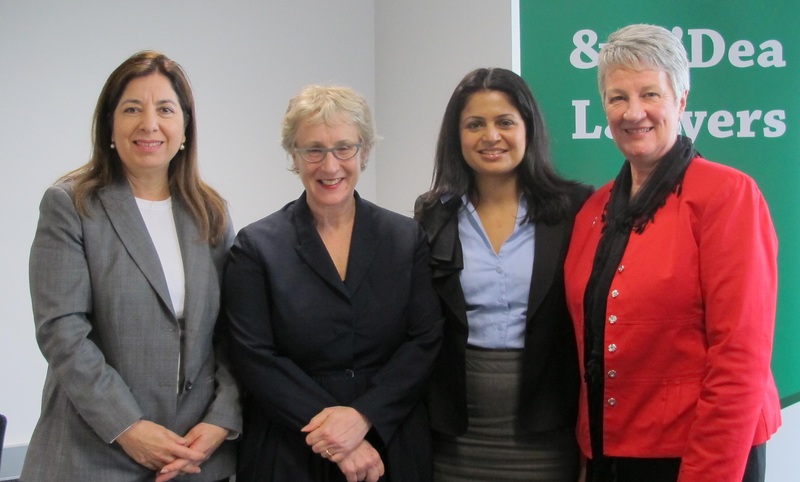 Geraldine Doouge AO spoke to Carroll & O’Dea about her book The Climb: Conversations with Australian Women in Power and gave us an insight into the women and their characteristics that she met with. Father Edmund Campion is a Sydney priest, writer, emeritus professor, historian and journalist. 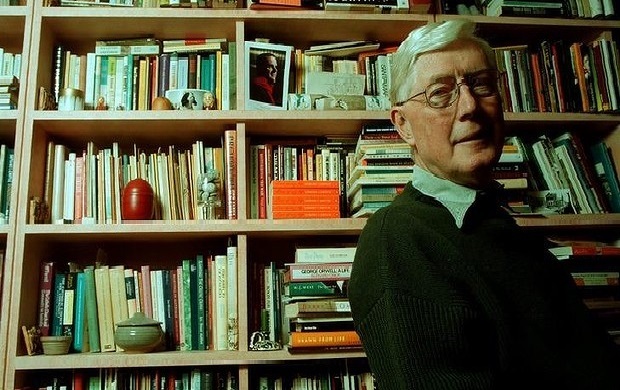 Born in Sydney in 1933 and educated at Riverview and the University of Sydney. 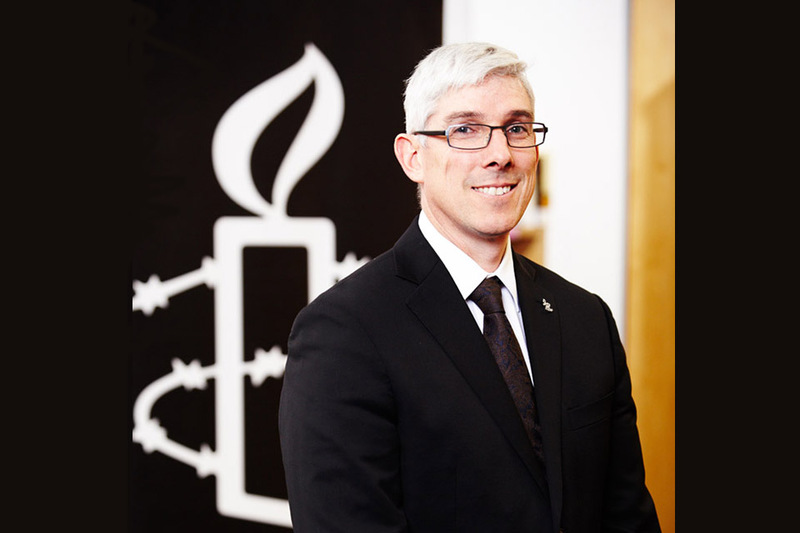 Dr Thom has worked as Amnesty International Australia’s Refugee Coordinator since May 2000, working on behalf of individual asylum seekers as well as on broader human rights issues relating to refugees. 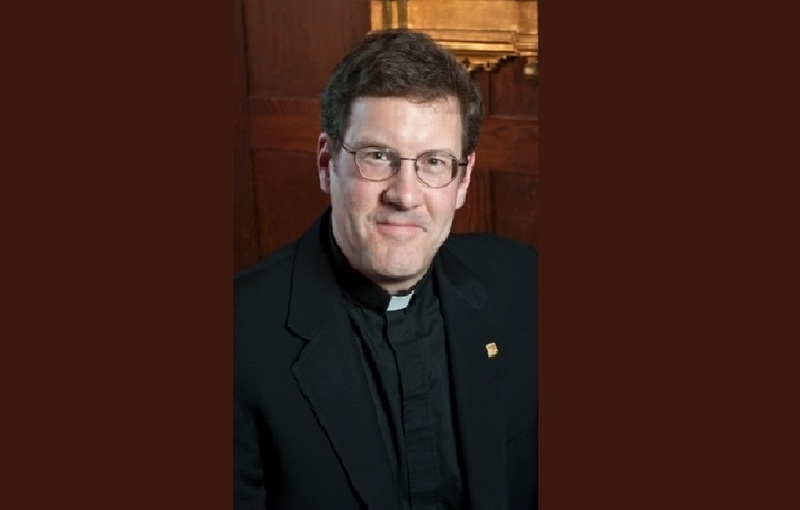 Father Kalscheur joined the BC Law faculty in 2003. He received hisA.B. in 1985 from Georgetown University, and his J.D. in 1988 from the University of Michigan. 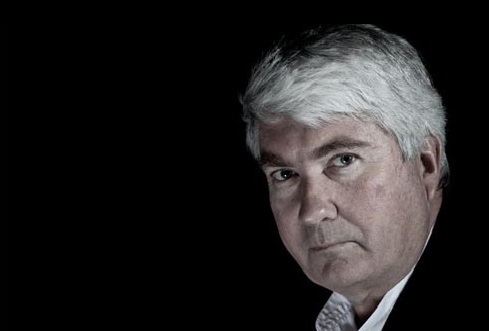 Father Brennan is a Jesuit priest, professor of law at Australian Catholic University and Adjunct Professor at the ANU College of Law and National Centre for Indigenous Studies. 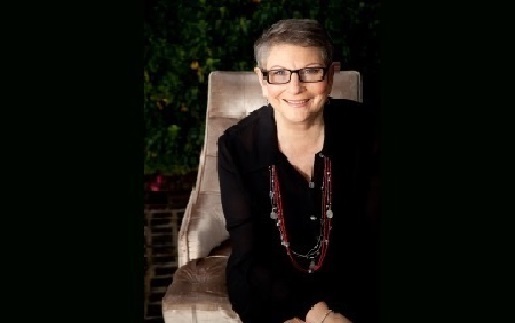 Petrea King is the Founding Director and CEO of the Quest for Life Foundation and best selling author of eight books. 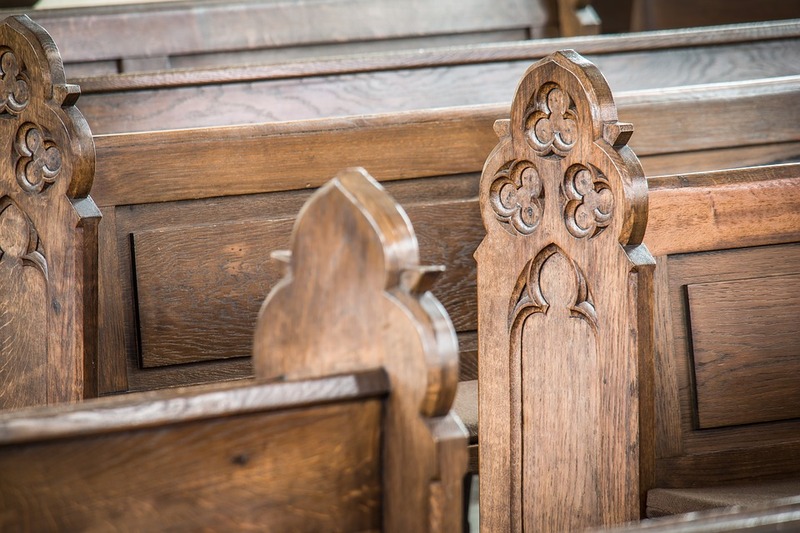 Fr Jeremy Clarke examines the business case for giving. When our compassion fatigue competes with our philanthropic desires – what wins? 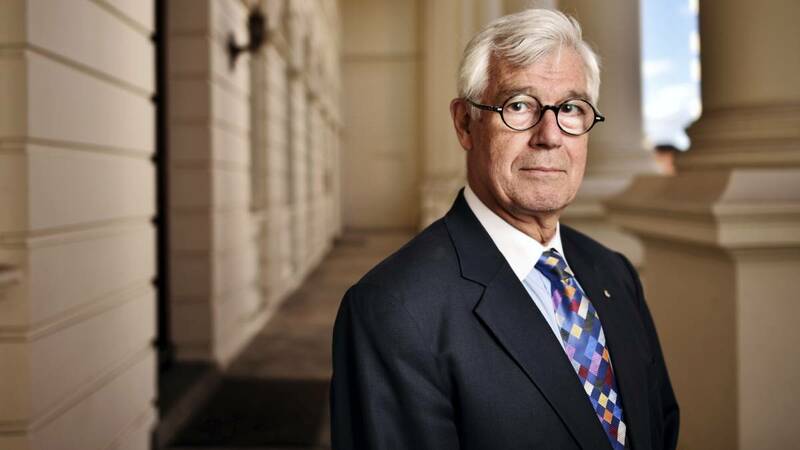 Julian Burnside is an Australian barrister, human rights and refugee advocate, and author. 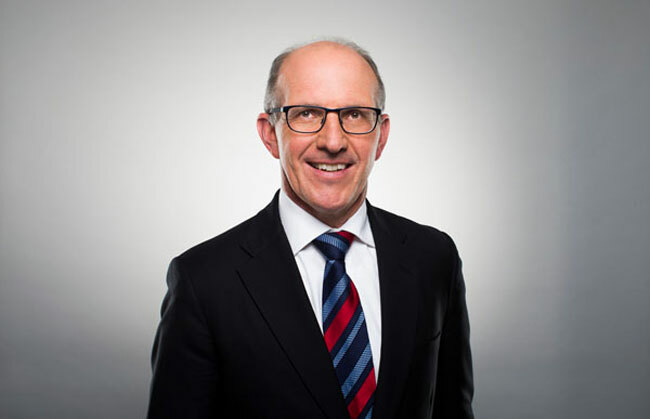 He practises principally in commercial litigation, trade practices and administrative law. 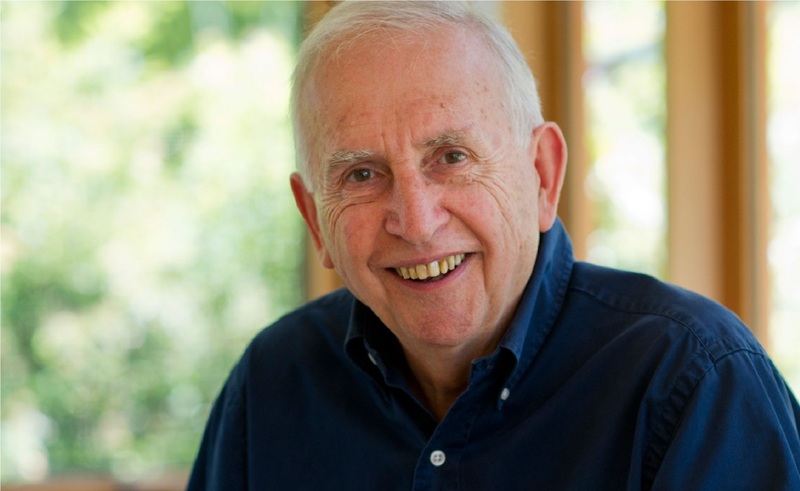 Hugh Mackay is a psychologist, sociologist, social researcher, writer and former teacher.He is the author of the book ‘The Good Life’. 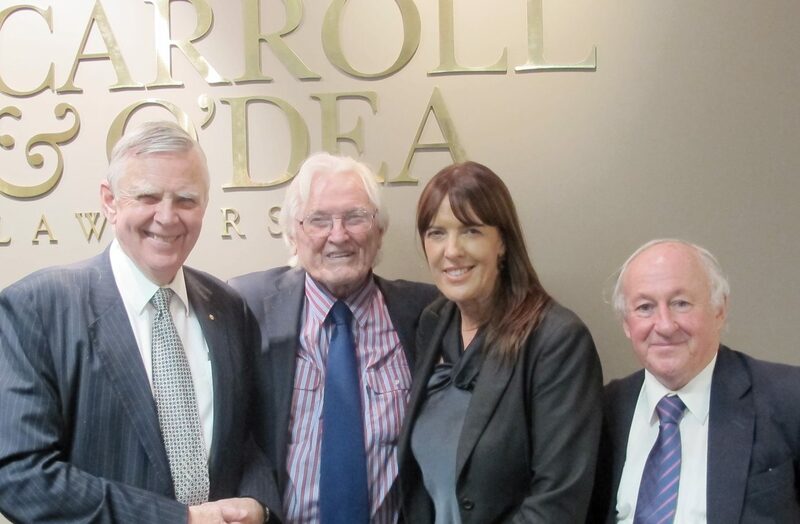 Carroll & O’Dea were pleased to host The Hon. Dyson Heydon AC as part of our Lunchtime Speaker Series. The Hon. 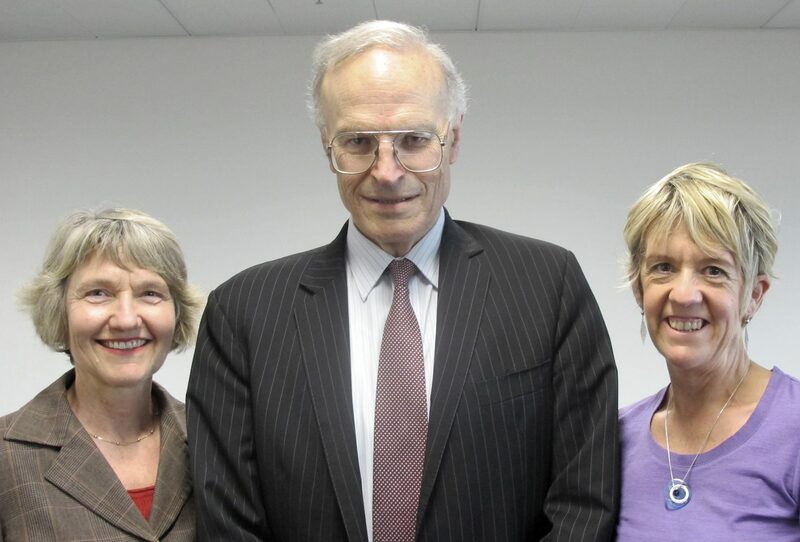 Dyson Heydon AC spoke about reflections on life in the law. The Hon. 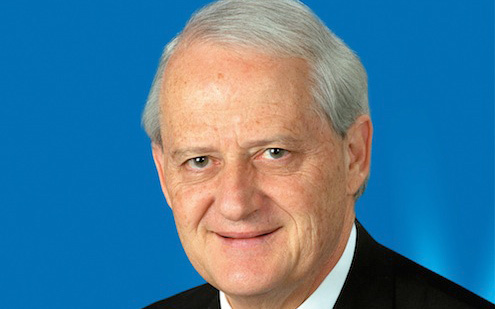 Philip Ruddock MP, Liberal Party member for Berowra, came to talk about the issues and his past experiences of immigrations and refugees. Billy Young was a POW as a teenager in Changi, Sandakan and Outram Road prisons and he shared his experiences including his enlistment, capture, incarceration and the tragic effects of war on his life and his salvation through art and expression. 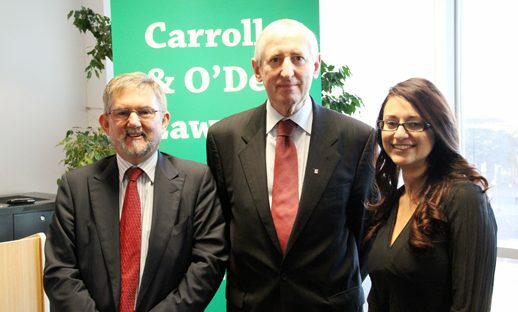 Carroll & O’Dea were honoured to have John Della Bosca be a part of the Tuesday Lunchtime Speaker Series on 16 April, 2013. 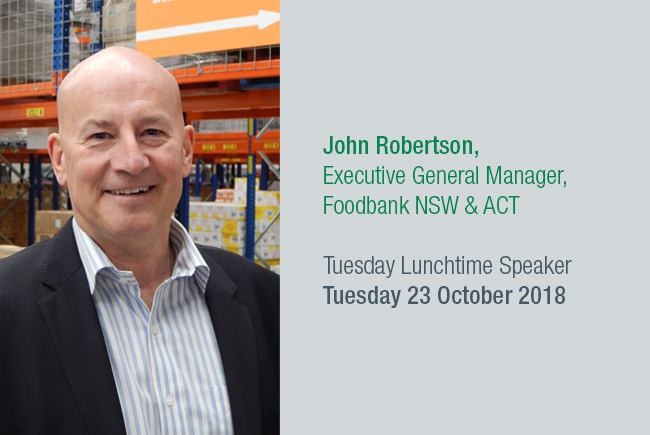 John is the Campaign Director for the National Disability Insurance Scheme (NDIS). We were fortunate to have The Honourable Brian Tamberlin QC. 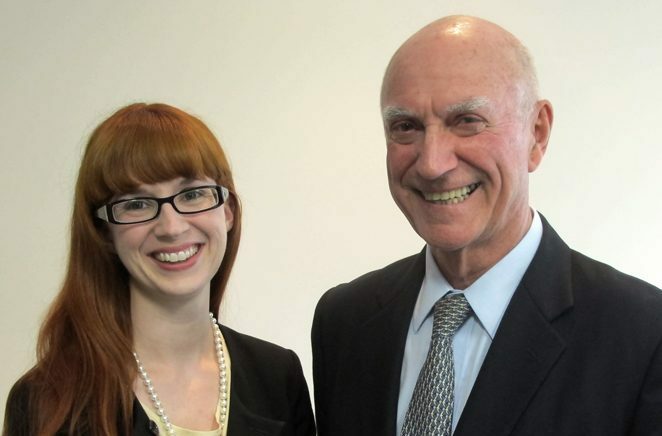 Deputy President of the Australian Administrative Appeals Tribunal visit our firm today as part of our Tuesday Lunchtime Speaker Series, Tuesday 12 February 2013. On Tuesday, 11th December, Justice Anna Katzmann & Dr Megan Brock rsj came together to talk about their experiences as leaders in their respective professions & challenges women face in today’s world. 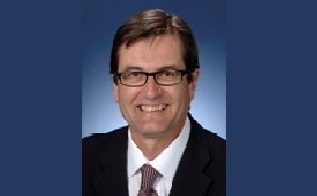 On Tuesday 31 July 2012, Greg Smith SC MP spoke on policies that promote rehabilitation and reduction in reoffending. 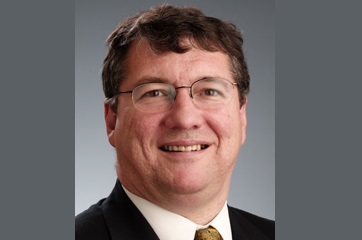 Professor Greg Craven addressed guests on the issue of State and Federal legislative power and Australia’s direction from a judicial, legislative and political perspective. 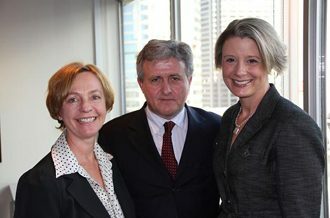 Carroll & O’Dea were honoured to have John Menadue be apart of the Tuesday Lunchtime Speaker Series on 5 June, 2012. 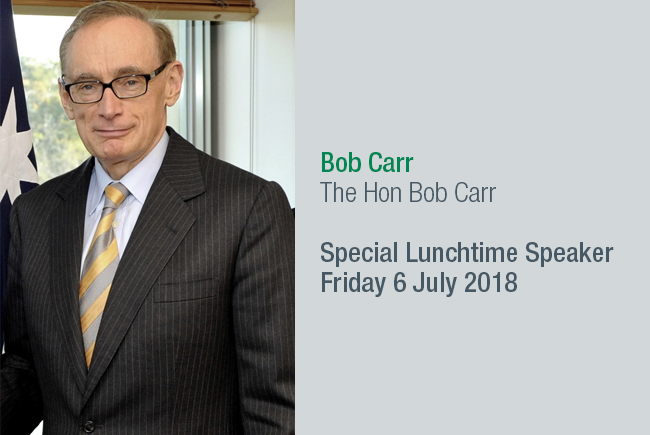 On Tuesday 6th March 2012, Carroll & O’Dea were pleased to have Robert Fitzgerald speak as part of our Lunchtime Speaker Series in our Sydney office. Michael Sexton SC, NSW Solicitor General, addressed guests with an overview of the Obama presidency to date and prospects, and the future role of America on the international stage. 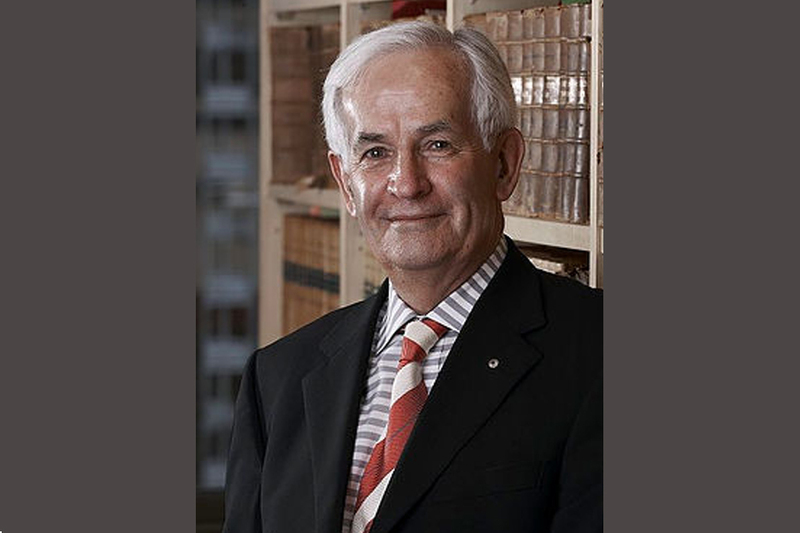 Australia’s leading industrial law academic, Professor Ron McCallum AO, addressed guests giving insight into his role as Rapporteur to the United Nations Convention on the Rights of Persons with Disabilities. 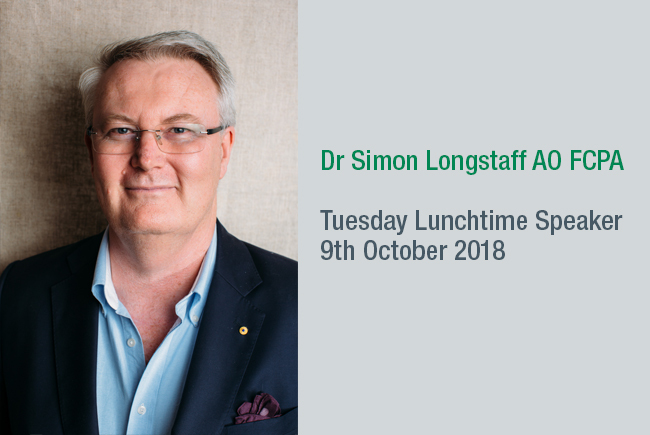 As part of the Tuesday Lunch Time Speaker Series, Brother Julian McDonald attended the Firm to reflect on his time as Chancellor of the Australian Catholic University, and the University’s innovative engagement in community programs. 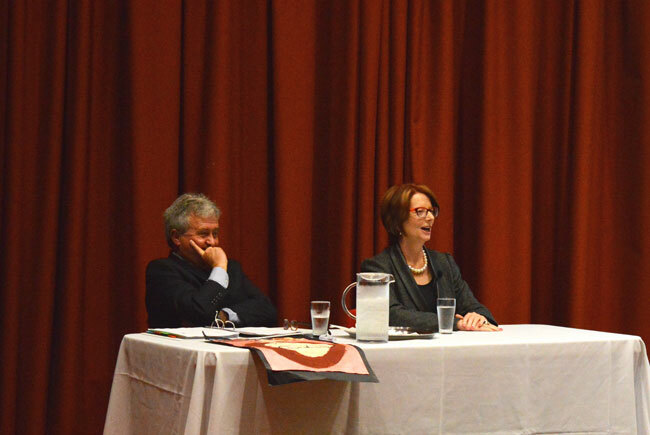 On 11th April, 2010 Cardinal George Pell visited Carroll & O’Dea and spoke about the extraordinary life story of John Henry Newman and his contribution to theology and academia and the current position on his recognition as a Saint within the Catholic Church. The President of The Seychelles Court of Appeal, Justice Francis MacGregor, addressed a gathering of staff and some guests on Monday 2nd November. 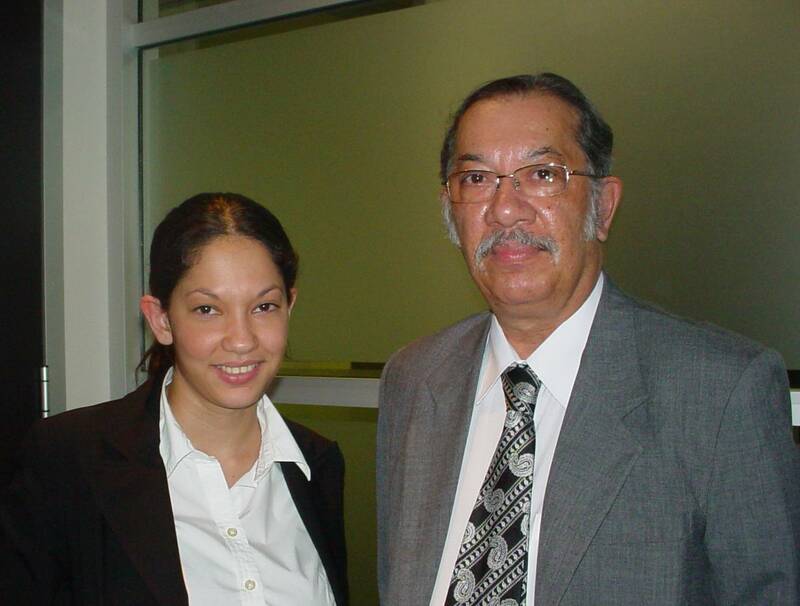 Justice MacGregor gave us an overview of the Seychelles’ Legal System, a rare hybrid system, evolving from French civil law and English common law. 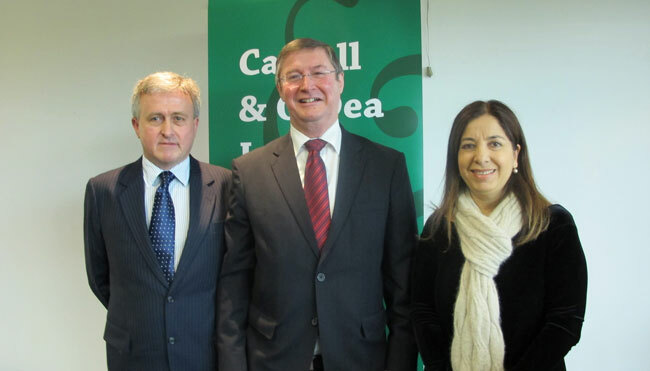 On Tuesday 13 October, staff and guests of Carroll & O’Dea were privileged to listen to an informative and thought provoking talk presented by The Hon John Watkins. 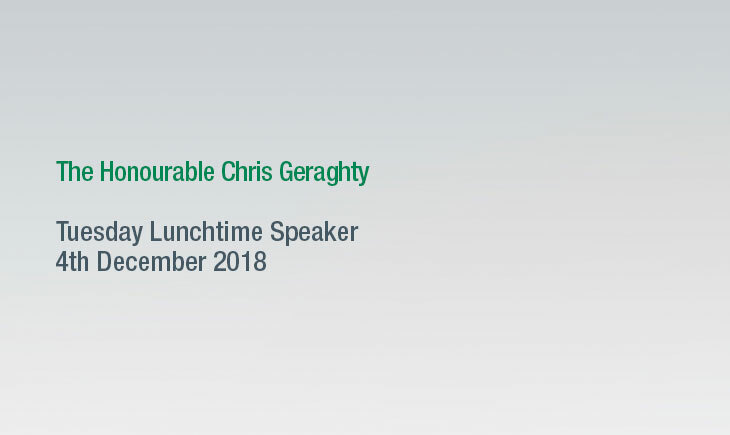 Recently, as part of our Tuesday Lunchtime Speaker Series, Dr Peter Howard from Australian Catholic University, addressed the staff at Carroll & O’Dea Lawyers about Clemente, the program which the University offers to some of the most marginalised members of Australian society. The Hon. 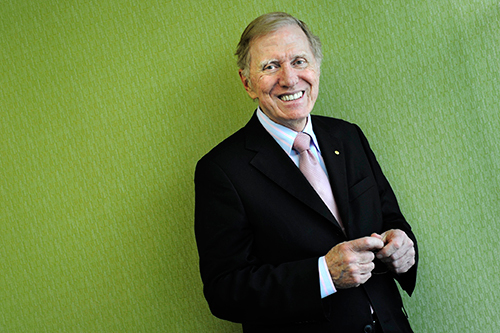 Mr Michael Kirby AC CMG, former judge of the High Court of Australia was a guest. Mr Kirby spoke about the challenges and joys of trying to seek a work/life balance in the legal profession.